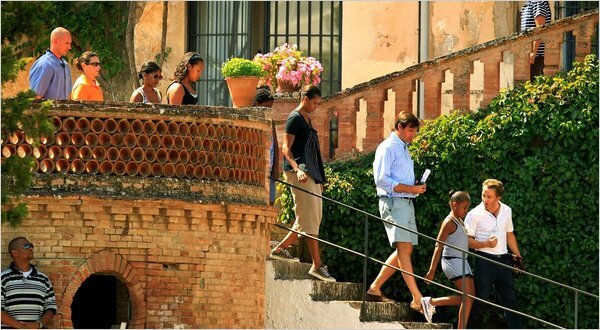 There’s been a recurring narrative in the major publications and cable news channels about the Obamas’ leisure time: that they’re wasting or abusing taxpayer money to enjoy life outside of the White House, or that they’re doing so in the “wrong” place. Their date in Manhattan, their recent trip to Maine, their plans to spend a week in Martha’s Vineyard; all have drawn criticism. I don’t fault Michelle for this. The first family shouldn’t be held to account for the modern realities of protection: I’m sure she would love to whisk Sasha away and disappear down the calles of España alone for a weekend. 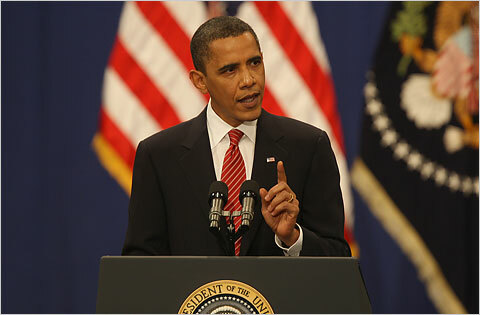 For a year and a half, President Obama has been taking pitches on issues of great scope, effect, and deliberation. 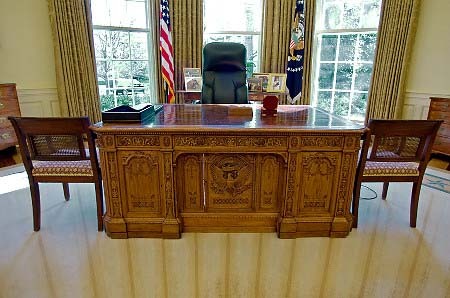 As I Bloviator-ed about last year, he’s passed on opportunities to address the nation from the Oval Office. No recession or Stimulus bill address. No health care reform address. No Afghanistan troop escalation address. Whether or not he has a good eye is up for debate. But it’s pretty hard to argue today that he doesn’t have a full count now. One of the past week’s big political attention-getters was the release of a New York Times/CBS News Poll on the Tea Party. 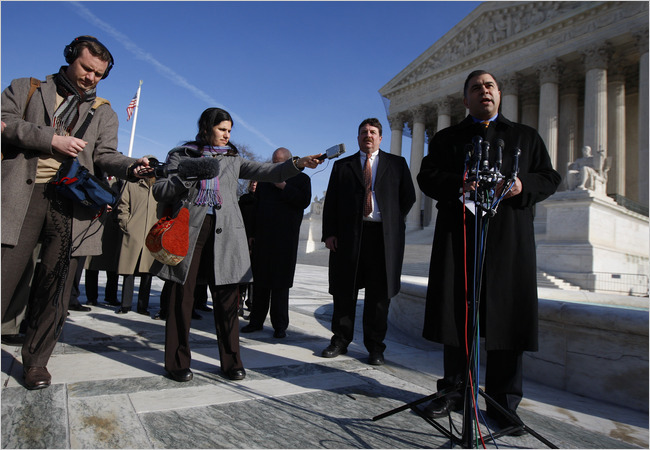 Numerous pundits jumped on it as proof of the narrow-minded, predictably stereotypical folks who comprise the Tea Party. For their parts, Bill Maher, Jon Stewart, Slate, and MSNBC all made hay of its results, often entertainingly, but mainly for fulfilling their preconceived notions. Easy as it is to view this poll as unassailable proof that the Tea Party conforms to all the norms of the Republican base, it is inconclusive. For while it seems plausible, I have to take issue with the lack of reporting of another recent poll. 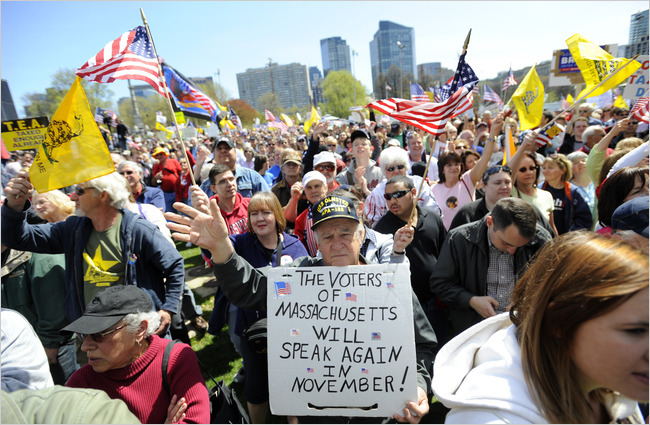 Three weeks ago, Quinnipiac University came out with a detailed poll of its own on the Tea Party. It was re-posted by Mark Halperin, but beyond that didn’t prove to have much in the way of legs. There have been other polls in recent months on this subject, as well. 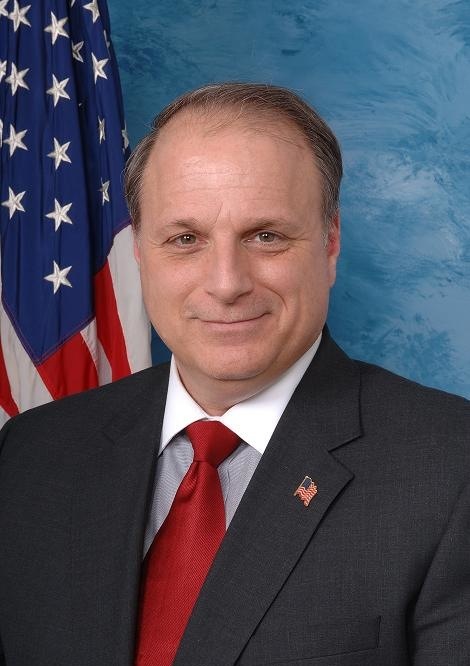 The fall of Eric Massa from Congress and subsequent rise as one-size-fits-all media personality has been strange indeed. Last week, Massa was a run-of-the-mill upstate New York Representative and married father of two. This week he’s the scuttlebutt, lightning rod, and punch line of the political establishment. His whirlwind run through the gauntlet of a roughly 96-hour news cycle is a parable on scandal (don’t do sketchy stuff in office) and the state of media and politics (it’s messed up). A little time passed and then he said he was being forced out by Nancy Pelosi and the House leadership for signaling his vote against the final health care reform bill. Through vague messages and a dubious PR job, news broke yesterday afternoon that NBC is planning to reinstate Jay Leno in his old slot. This is a bad idea. The proposal appears to be to re-insert Leno at 11:35 right after the local news, but just for a half-hour, after which the current lineup would take over, starting at 12:05 with Conan O’Brien’s current Tonight Show running for an hour. Jimmy Fallon has got to be thinking, “How am I going to think of new ways not to be funny even later at night?” I’d rather watch Carson Daly. NBC affiliates are pushing for some kind of change because their local newscasts are not getting a good lead-in from Leno, so this is what the network has come up with. Leno’s ratings fell after a decent start, but had since leveled off. Um, moving Leno from one side of the news to the other doesn’t sound like it’s going to fix a ratings problem. This change is coming just as Comcast is about to take the reigns of NBC Universal. Perhaps this decision is also trickling down from them? Either way, it’s a shortsighted, kneejerk reaction. It’s only been seven months. ABC has not given up on Jimmy Kimmel’s show in seven years (wow, that went fast) and he has gained in the ratings. Conan’s finding his new voice. But David Letterman, in spite of, because of, or having nothing to do with his peculiar scandal, has taken his first big ratings lead in years, so the Peacock people are nervous. 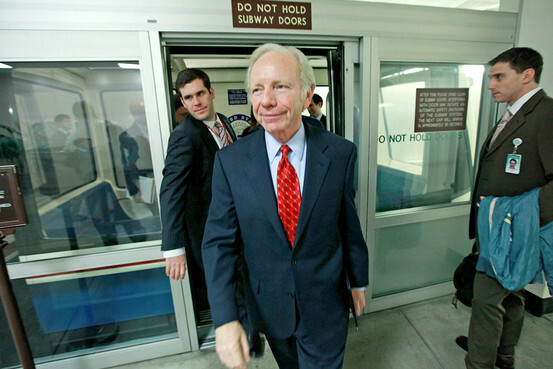 Most news outlets are reporting that Senate Democrats will give into “parliamentary terrorist” Joe Lieberman’s demands. That’s what he is at this point, regardless of your political leaning: someone who knowingly and unexpectedly creates legislative anger, confusion, and uncertainty for his own narrow-minded goals. The Huffington Post was most blunt: “Lieberman Wins.” Long form, this means dropping two components of the bill that the Senate working group (aka the Gang of Ten) agreed to: allowing 55-64 year olds to buy in to Medicare, and a public option “trigger” if the national private nonprofit plans the bill calls for fail to come to fruition. Suffice it to say, liberals are not happy. Some members of his state’s Congressional delegation are even calling for an (albeit non-existent in Connecticut) recall, just to show how livid they are. Hater Joe made his initial unsupportive comments on Face the Nation. It’s too bad he doesn’t actually have to, y’know, face the nation and hear what people really think of him. It wouldn’t be pretty. With homeless guys lobbing tomatoes at Sarah Palin and mental cases nailing adulterous Italian Prime Minister Silvio Berlusconi with statues on the fly (he and Tiger Woods should hang out), it’s kind of surprising nobody has chucked a honeydew at Lieberman. The latest ABC News/Washington Post poll shows the sturdiness of a public option: after some five months of trash-talking and mud-slinging, it’s still holding at 57% favorability. But amid the myriad of health care questions posed in this survey, a surprising numerical morsel arose: only 20% of Americans now identify themselves as Republicans. Mind you, this ain’t no Zogby or Rasmussen hijinx. Those competing pollsters, although not as mainstream, are actually just as credible, if not more so. Nonetheless, I’d hazard the ABC News/Washington Post names carry a bit more weight out in the public square. On its face the 20% number is actually misleading. Just because Republicans clock in at 20% doesn’t mean Democrats are at 80%. Those identifying as Independents, whether registered officially or just saying so because they feel disenchanted and all trendy-like, make up a sizable middle position at 42%. This leaves 33% who call themselves Democrats.